OMG Posters! 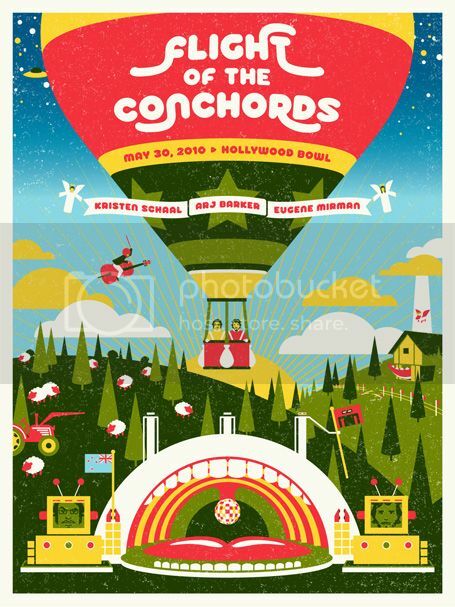 » Archive DKNG's Flight of the Conchords Poster - OMG Posters! First of all, before you read any further, check out the amazing process post about this print HERE. The poster itself is an 18″ x 24″ screenprint with an edition of 300. The DKNG boys must not have gotten many copies, as they’ve got this priced at $50, but it looks pretty enough to drop some money on. Visit DKNGStudios.com. I wanted one of these at the concert but completely forgot about it as we were leaving.